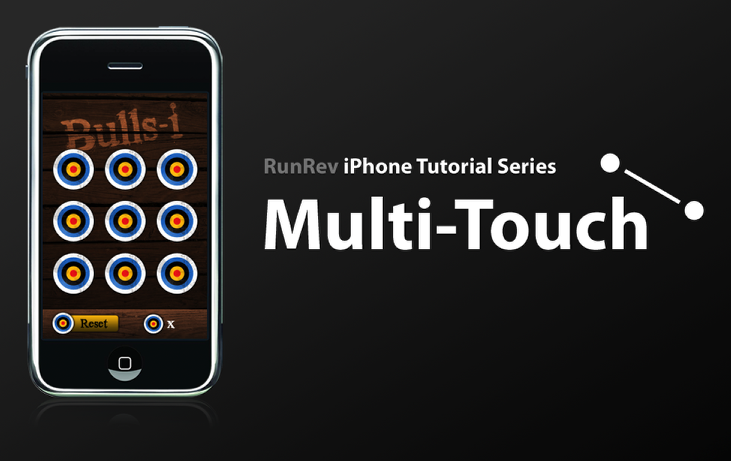 In this video lesson we learn how to use the multi-touch feature. Follow along by downloading the resource pack below and create the Bulls-i game with us. The tutorial focuses on iOS devices but the principles and code are exactly the same on the Android platform. Prev: How do I implement a multi-touch pinch motion? VERY nice tutorial video, Ben! Not only did I learn something about multi-touch, I also learned some useful shortcuts in interface layout. Thanks very much! Thank you, there is just one mistake in the code, at the end you wrote resetGame instead of gameReset (the function your defined). thanks. The code has now been updated.